Mirrored furniture is growing more and more popular as it’s recognised within the interior design industry for its chic and clean look. 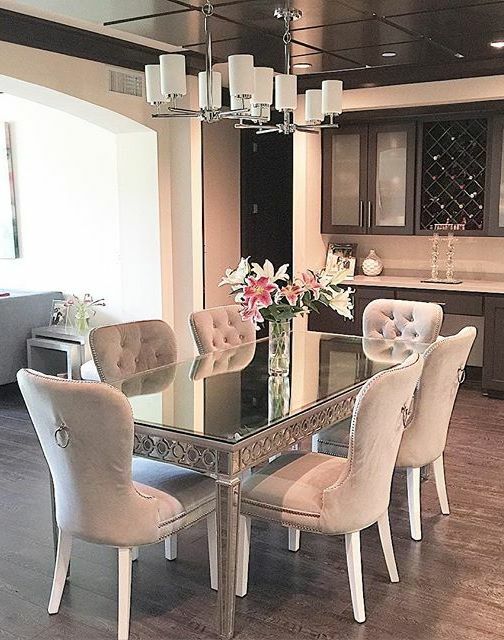 Over the past few years, we’ve seen a number of unique and intriguing mirrored features and furnishings bring an incredibly sophisticated touch to many of our customers’ homes, and even installed a few features ourselves. There are a number of reasons why mirrored furniture is becoming increasing popular, from the elegant aesthetic to the easy clean practicality, as well as the fact that the reflective surfaces do wonders opening up the space they occupy. 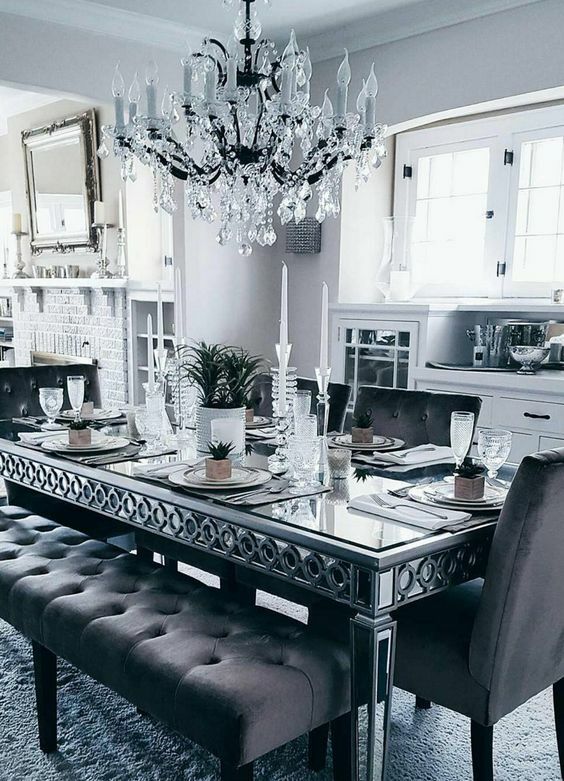 Originally popular in Hollywood star homes, mirrored furniture was seen as a glamorous staple in the celeb world, but now as this furniture becomes more readily available, we can now add a bit of pizzazz to our interior designs too! To show you some of the beautiful and interesting ways people are already using mirrored furniture to liven up their bathrooms and boudoirs, check out our collection below, full of some wonderful inspiration for your next bedroom makeover! These beautiful matching mirrored drawers and bedside table really demonstrate what we mean about adding an air of class to your interior design. Paired with a glittery mirrored chandelier and soft plush rugs and bedding you have a totally indulgent boudoir fit for a princess. These smart elongated wardrobes border the bed to make it the centrepiece of this design. The soft silvers and greys compliment the tone, with the shine of the pillows, mirrors and chandelier bringing a spark to the mature room. Mirrored shelving can add a splash of sparkle to any room, and these hallway mirrored shelves serve as beautiful decoration whilst also opening out the space. Mirrored furnishings for your bathroom! 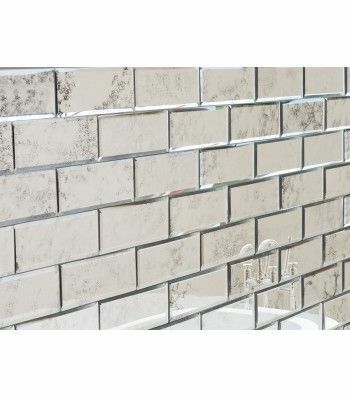 These mirrored brick tiles can make your smaller bathrooms a bit more spacious, as well as complement a clean white and silver bathroom feel. Plus, when light shines in you’ll be treated with an array of reflections and refractions to brighten up your space even more! What lovelier way to bring a touch of class to your home than with such a centrepiece as these mirrored dining tables. Add fabric chairs in the colour that suit your colour scheme to soften the mirrored touch. This mirrored table kitchen come diner design also utilises a low hanging chandelier to complement glass with glass and add even more elegance. 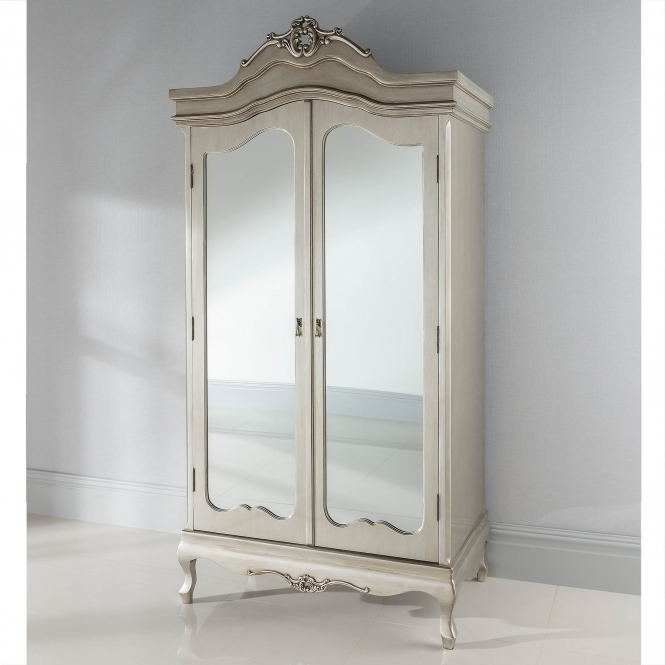 These mirrored wardrobes are the perfect addition to any beautiful boudoir. These cream embellished designs are incredibly in fashion at the moment with the comeback of vintage style and furniture, and paired with matching embellished drawers, side tables and more (if you have room! ), as well as some antique decorations, you’ll have an adorable bedroom escape. 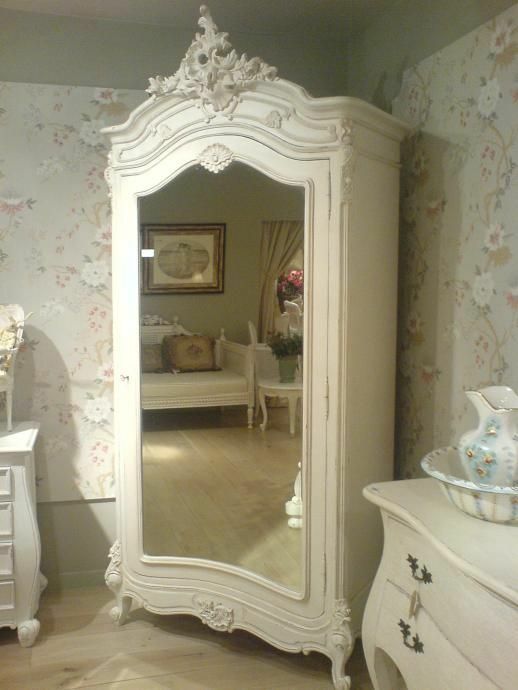 This mirrored wardrobe has two doors over the one above, for easier access, but both designs are beautiful! It just depends what you prefer! 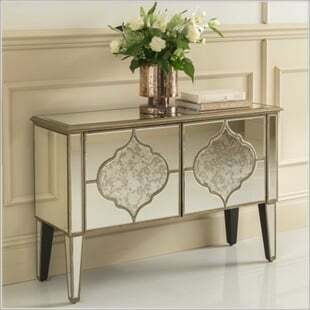 Mirrored furniture doesn’t have to stay in the bedroom either – it can also run throughout your house, such as with this elegant hallway mirrored side table, adding style immediately. Add a quaint mirrored bowl for your car keys and your all set! 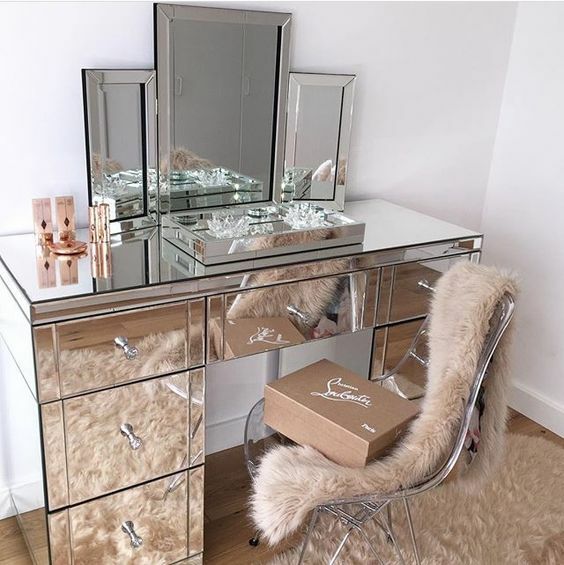 If you’re not sure about working mirrored furniture into your bedroom or theming entire rooms around mirrored furniture, a small mirrored table like this one could be a perfect way to add some glam to your home. Match with some clean cut mirrors around the room for decoration and a deep, rich colour scheme. Finally, the bedroom highlight – a mirrored bed frame itself! 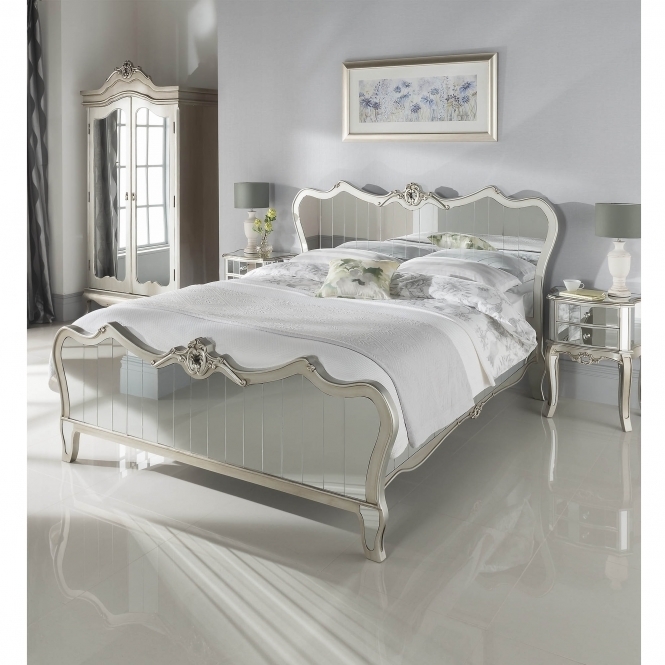 What a way to finish off your mirrored collection than with a stylish bed frame to match your mirrored wares. This beautiful frame even incorporates the intricate embellishments of the wardrobes we saw earlier to bring the room together in a glorious silver symphony. For more inspiration and other interior design ideas for your home, visit our blog here! If you enjoyed these designs, let us know your favourites on our Facebook or Twitter pages, or share it with your design-loving friends!